Changes to Football Manager 2018 Fantasy Draft Streamers Would Love! In the series of new Football Manager 2018 features and improvements, time has come for an in-depth look at the revamp made to Fantasy Draft. It’s around two years since Twitch integration became part of the Football Manager series. From here you will be able to stream Football Manager to your followers. Since then, the Football Manager community has really embraced this opportunity to showcase their career progression. New Football Manager streamers pops up at a rapid pace, it’s almost like it some kind of plague. Joking aside, it’s them that makes up most of the Football Manager community. For those streaming Football Manager, there have been several options to broadcast how they play the game. We’ve got the traditional online mode as well as the more exciting Fantasy Draft. Now it’s time to look at the revamp made to Football Manager 2018 Fantasy Draft as it’s clearly an area of the game that deserves our attention. 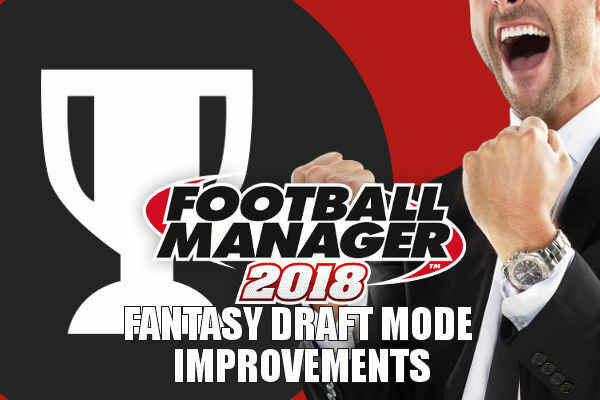 By reading further you will learn more about the changes and improvements made to Fantasy Draft in Football Manager 2018 and how this may affect you. The Football Manager Fantasy Draft is an innovative multiplayer mode. It lets you either compete against your friends or the AI by letting you build your own squad from a pool of existing players in Football Manager 2018. At setup you can generate your own squad name, add your own logo and edit the colours you’d like for kits and club colours, before assembling your favorite squad. Each participant will receive a pre-determined amount of money to draft players from. Each can pick one player by turn in each round. At selection, you need to keep in mind not only the tactics and playing style you will likely use, so you get players that can succeed in the chosen formation and the preferred player roles for your style of play, but also how much money you have left in your overall squad budget, as all participants requires a maximum number of 25 players. This means that if you are lucky, you can get a squad of some of the best players in Football Manager 2018, no matter what their original club in real life are. The draft process lets you search by player names or specific positions, load up custom shortlist of your favorite players and use that as a tool to pick up your preferred squad or simply browse by players’ maximum value. Once setting up a new Fantasy Draft save, you can play against your friends in a head-to-head league, league or knockout cup format. You can either create your own draft that others can join, determining the amount of squad budget, the limits of the player pool, how long the draft process shall take and if you’d like a mid-season transfer draft window. If you should prefer to play against the AI, you can. Here you will face some of the Football Manager fansites and streamers you may have visited for useful content, let’s play series and much more. You can select up to 10 AI managers that will join your Fantasy Draft competition in this offline single player Fantasy Draft mode. With a basic knowledge about the Fantasy Draft, it’s time to check out what’s new for Football Manager 2018! The Fantasy Draft of FM18 comes with a more streamlined layout. The look and feel of Football Manager 2018 Fantasy Draft has been made slicker and cleaner – a complete difference to the traditional FM experience. The sidebar menu has been removed and any in-game icons have been moved to the top and center of the screen, giving streamers maximum of space to work around. This means that it will be easier for viewers to see the screens with the most important information. Changes and re-worked has also the player profile of the draft mode been. 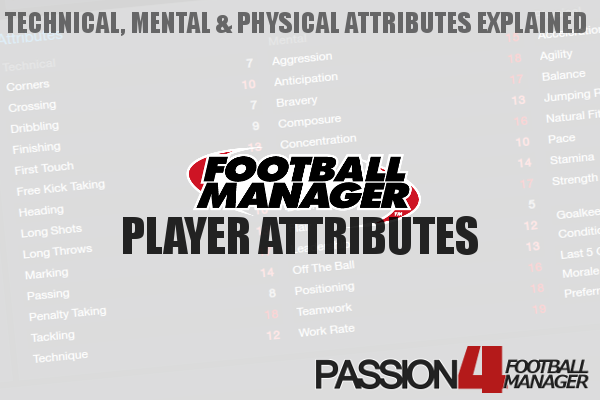 Now it’s the players’ attributes, star rating, natural position and suitable role that is in center of attention. At the draft, you will be able to see a graphical depiction of your squad size and current depth by position. New gameplay options lets you prove your managerial abilities against your friends, the online community or simply test yourself against the AI. The quick start option lets you get into action quicker than before, as you now will get the chance to find existing online Fantasy Draft competitions, and add you to it. If you prefer an even quicker start to your Fantasy Draft competition, you will for FM18 be able to get help with your pick by an auto-pick option, which lets the AI take care of your selection for you. The AI will then use your nationality, preferred formation and favorite club as a search filter. FM18 Fantasy Draft will come with the ability to play multiple seasons in the League format, letting you compete against your friends season after season. You will be able to have mid-season Fantasy Draft transfer windows, making it able to alter and improve your squad even further. If any of your friends or members of the community has setup a competition, FM18 lets you join an existing competition for the next season on. This means that it’s not only restricted to the starting managers, but everyone who fancy a new challenge! The knockout cup format will for once see two-legged ties, similar to what we’ve come accustomed to in the UEFA Champions League qualifying rounds. There will be a wealth of set-up options to create your own Fantasy Draft competition in Football Manager 2018. While the maximum squad budget were limited to £250Million, this has been extended to £500million for FM18, in additional to adding more increments between the minimum and maximum allowed squad budget. A new option is the ability to select players from a pre-set player pool. You can use a custom player pool of players from a specific nationality, region of the world, continent, players based in a specific division or nation, or by a specific maximum or minimum value. These custom player pools can be uploaded and shared via the Steam Workshop, letting your friends or other download custom player pools for their next Fantasy Draft Competition. NB! A default world player pool is also available. Finally and most controversial perhaps, it that the time element have been completely removed for the Football Manager 2018 Fantasy Draft mode. This means that players won’t age. A 16 year old wonderkid, will remain this young forever meaning you will never be able to play him at his full potential! Too bad, right? In terms of injuries, the removal of time means that these are calculated by match days, rather than days, weeks or month(s).